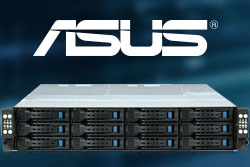 RS720Q-E8-RS12 is our high density 2U server with efficiency and airflow optimized beyond all previous generations. With the latest CPU technology for maximum processing performance and a modular design for ease of installation and maintenance, RS720Q-E8-RS12 is ideal for high-end enterprise, high-performance computing (HPC) clusters, datacenters and cloud-computing environments. 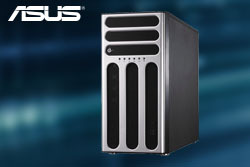 TS500-E8-PS4 is the mainstream Tower server perfectly built for both workstation and server dual use. It features the latest Intel® Xeon® processor E5-2600 v3 product families, 8 DIMMs, six expansion slots, three 5.25” media bays and single 500W 80 PLUS Bronze power supply. Additionally, as other E8 series server, TS500-E8-PS4 equips the premium components offering up to 94% VR efficiency as well as the complete remote management solution. With the extreme computing power and flexible expandability, TS500-E8-PS4 is perfect for growing business applications and individual workstation users. TS700-E8-PS4 V2 is designed for dual use server and workstation supporting extreme graphics power, optimized audio performance, BIOS flashback and Q-code logger, an easy-maintenance button. It features the latest Intel® Xeon® processor E5-2600 v3 product families, 16 DIMMs, six expansion slots, three 5.25” media bays. 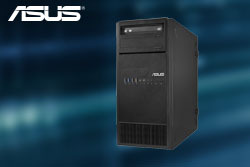 TS700-E8-PS4 V2 is perfect for growing business applications and individual workstation users.